Epic Church exists to see people experience LIFE and live it to the FULLEST! Romans 12:2 Do not be conformed to this world, but be transformed by the renewing of your mind, that by testing you may discern what the will of God is, what is good and acceptable and perfect. Do not conform to this world - “pattern of this world” - or the system this world operates in. Matthew 16:25 For whoever would save his life will lose it, but whoever loses his life for my sake will find it. For what will it profit a man to gain the whole world and lose his soul. There is a system in this world that says you must grind every day in order to gain some kind of life. Jesus teaches here that we have to lose that system of thinking in order to find the life that we actually want. To get in God’s family the Bible says you MUST be born again into another family. God wants to do an amazing miracle of transforming me BUT He is going to do it with my involvement - by changing the way I think. Philippians 4:8 Finally, brothers, whatever is true, whatever is honorable, whatever is just, whatever is pure, whatever is lovely, whatever is commendable, if there is anything excellent, if there is anything worthy of praise, think about these things. PSALM 139:17 How precious are the thoughts of God! Gen. 1:26-28 26 Then God said, Let us make man in our image, after our likeness. And let them have dominion over the fish of the sea and over the birds of the air and over the livestock and over all the earth and over every creeping thing that creeps on the earth. 27 So God created man in his own image, in the image of God he created him; male and female he created them. 28 And God blessed them, Be fruitful and multiply and fill the earthen subdue it,……. We are not here to build a kingdom of our own we are here to minister a Kingdom that already exists. Ezekiel 36:20 But when they came to the nations, wherever they came, the profaned my holy name. 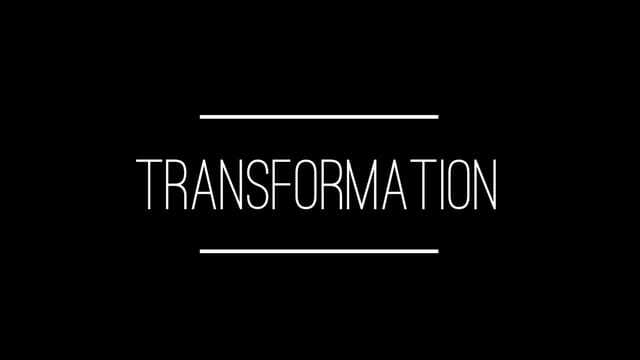 TRANSFORMATION is God's goal….and desire of me and you. Tithe and leave a LEGACY of Generosity!